Welcome to the ultimate microbiology laboratory experience, with 110 minutes of instructor chosen, high-quality videos of actual students performing the most common lab skills, procedures, and techniques. From lab safety to microscopy to bacterial staining techniques, nowhere else will you find a more comprehensive and customized microbiology video program. Jeff Pommerville provides narration, context, and rationale for the on-screen action, and Skills Checklists are available online to record progress and for assignability. 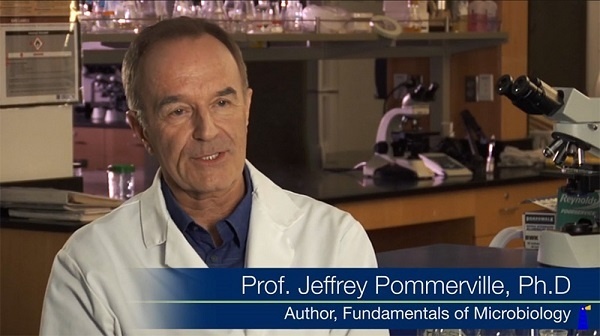 Access to Fundamentals of Microbiology Laboratory Videos is packaged free with every new print copy of Laboratory Fundamentals of Microbiology, Eleventh Edition (ISBN: 978-1-284-10097-6) and standalone (ISBN: 978-1-284-12898-7). 34 videos and over 100 minutes of quality production-value video!